With only two months left in the calendar year, Indiana schools are now one step closer to finally seeing their standardized test results from last spring. 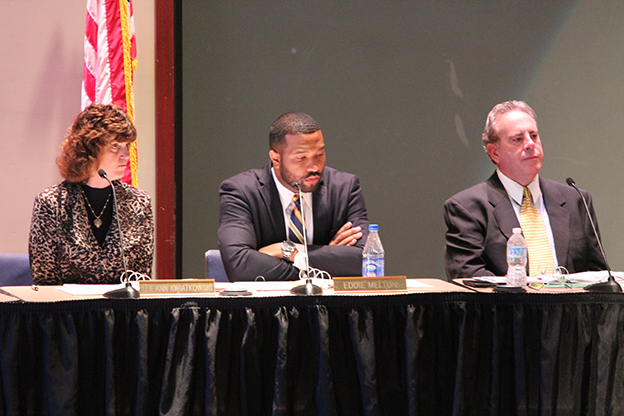 The State Board of Education continued discussion of the 2015 ISTEP+ test at its regular meeting Wednesday. Members approved cut scores (the pass/fail line) at a special meeting last week, but saved decisions about how this year’s scores would fall along that line for this session. You’ll remember policymakers raised a red flag back in October, expressing concern over differences in difficulty between the online and paper/pencil versions of the annual assessment. A test expert examined the data and confirmed that differences did in fact exist, and tended to work in favor of students completing their test on paper, except in a few instances involving math questions. That’s why expert Derek Briggs recommended the board consider awarding bonus points to students who completed the more difficult mode. And that’s what the board voted to do. In most cases, adjustments will be made for students who completed the online exam, or those who completed paper versions with more complicated math problems. Indiana Department of Education testing director Michele Walker says no student’s score should go down as a result, but some could see a boost of up to nine points. Walker adds that score adjustments will not change the timeline for releasing scores to schools, which could happen as early as December 8. The timeline for completing and releasing 2015 scores has already been delayed numerous times. Outgoing test vendor CTB alerted the board to grading issues in August, and the process has stretched out further ever since. Only after that will the board be able to calculate school A-F accountability grades, which also factor into districts’ educator evaluations and teacher pay decisions. And calculating those accountability grades is something else Derek Briggs brought to the board’s attention. Last week, state Superintendent Glenda Ritz said her Department of Education would need to contact their federal counterparts to see whether taking the kind of action Briggs recommended regarding bonus points is within the realm of possibility for accountability under Indiana’s No Child Left Behind waiver. Ritz says the feds okayed the state’s score adjustment system, but the conversation about what Indiana does with accountability is ongoing. The U.S. Department of Education has acknowledged that testing new academic standards for the first time typically results in lower scores, and have allowed states in that position to temporarily hold off on linking scores to accountability measures. 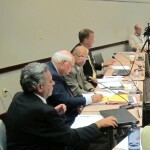 Ritz has long advocated for Indiana to pursue this option, but her board colleagues have quashed that idea in the past. But the idea of some sort of accommodation is getting more traction. Late last month, Gov. Mike Pence sent the state board a letter, expressing his desire to find “solutions that preserve accountability and transparency for Indiana’s academic system.” Pence also said he is working with members of the General Assembly to draft legislation addressing these concerns.